go to the salon to get my hair done. go to the cabin where I am forced to use hard well water. find that our water softener is out of salt—making our water hard again (shampoo bars don't like hard water). I remember the first time I went to the salon after having used the shampoo bars for several weeks. The next morning when I went to wash my hair, it was super sticky while wet—and when I got out of the shower and tried brushing through it—it was a horrible, sticky mess. I tried blow drying it and ended up with STRAW for hair. What happened to my soft, shiny locks? I was freaked out. I hopped back in the shower and did an apple cider vinegar rinse (more on that in a minute) and washed again with the shampoo bar. Now it felt a little better—but not totally. So I did another ACV rinse, washed again with the shampoo bar, and finally it felt normal again. Now I just know that this has to be my protocol whenever my hair is treated to traditional shampoos or hard water. Hard water is full of minerals, specifically it has a high concentration of calcium and magnesium ions. In soft water, there are concentrations of sodium and potassium ions. The reaction between the hard water minerals and the shampoo bar (which is a pure soap—unlike the "soaps" or liquid shampoos you buy in the stores) causes the minerals to adhere to the soap molecules. This ends up "sticking" in your hair, and the only way to get it out is to wash with soft water and a gentle, natural, acid rinse—apple cider vinegar (cheap, has an odor when your hair is wet, but works great) or try our herbal infused rinse or lemon juice. Alternatively, try our new Citric Acid Rinses scented with therapeutic grade essential oils. For more in depth information on our rinses read more HERE. You can also use a clarifying shampoo, but I think the vinegar rinses or citric acid rinses work a lot better. We do not recommend the use of our shampoo bars for your hair if you have hard water. However, you can still use them for your body. (For more information about a shower head filter that can remove most of the minerals in your water, see our article HERE.) Even if you have soft water, you’ll need to balance the ph of your scalp periodically as pure soap errs on the alkaline side. An AVC rinse does the trick and also serves to gently rinse out any build up on the hair shaft caused by the shampoo bars or hair styling products. To do a natural rinse after shampooing, you can spray on a Citric Acid Hair Rinse (my favorite is Bay Lime), or the Herbal Vinegar Hair rinse and rinse it out with water. Or use the diluted version using our Herbal Vinegar Hair Rinse Concentrate in one of our Applicator bottles. Some people find that they may need a little conditioner in my hair to help with detangling, I have long hair and don't need to use conditioner. How often is using a rinse necessary? It depends on YOU. I feel it's best for my hair type and my hair styling habits to use the diluted Herbal Vinegar Hair Rinse after each shampoo. But when using it full strength or using one of the Citric Acid Hair Rinses, some people only use it once or twice a week. Are you new to shampoo bars? You might find that your hair feels different at first. Almost like there is a residue still left over in your hair. if you can rule out hard water as the culprit, then it could be the shampoo bar reacting with the residue build up from all of your other hair products. Most people find that if they persist in using the shampoo bars—after a couple of weeks that feeling goes away, and they find their hair to be cleaner, brighter, softer, and more manageable. Why? Because shampoo bars actually CLEAN and CONDITION your hair and scalp without stripping it of its natural sebum. Many people have reported that their scalp issues clear up because their body is not reacting anymore to harsh chemicals. God designed our bodies to heal themselves, but we need to take care of them and protect them from chemicals that do damage and prohibit our cells from functioning normally. 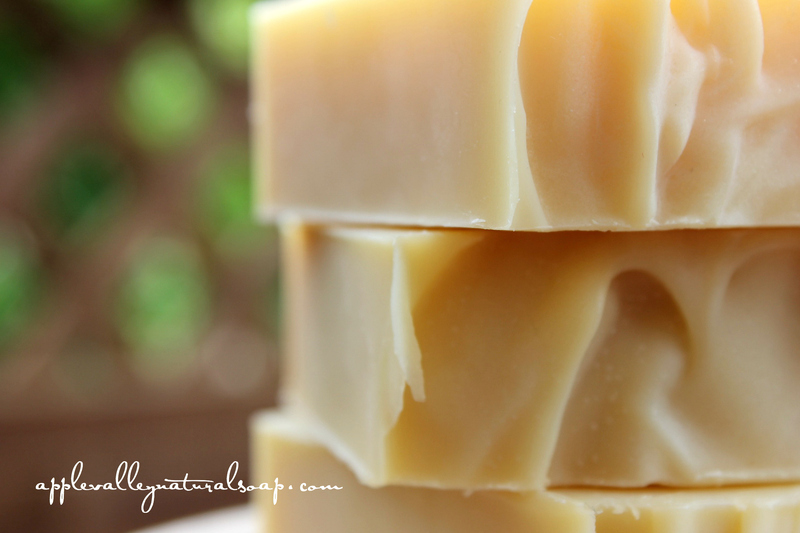 Many people will find that shampoo bars are the solution to a lifetime of bad hair days!